On 19th October 2018, early in the morning before I could board the flight to Bangalore from New Delhi, Baba already gave me a blessing in the form of an award to my daughter who is studying in New York and had entered one of her creations in a design competition. Her entry had won the award and was one of the few who were chosen among over 10000 entries for the competition. 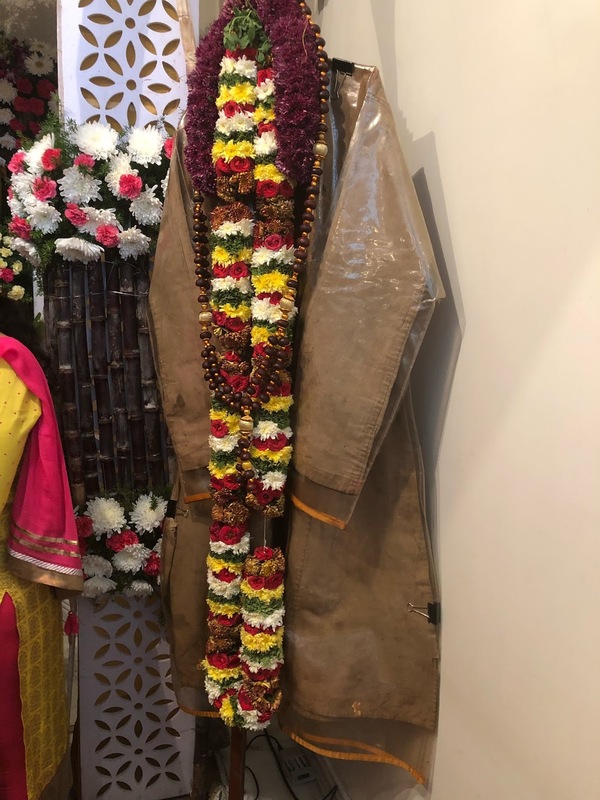 I had goosebumps as Baba had already blessed me that too on His Centenary Punyatithi day before I had His darshan in Bangalore! 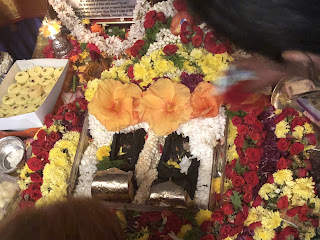 If you all had read the earlier experience of 18th October, I had mentioned how Baba miraculously arranged my visit to have His Padhuka and Kafni Darshan in Bangalore in Sai Sister Laveena Janardhan’s house. There was no way I could go to Shirdi as my husband was travelling and I could neither take or leave my daughter alone at home and go for darshan! I had left it to Baba that if He wishes He will call me to give His blessings but had very little or almost no hopes. Wonder of wonders, my husband who was to arrive on the 19th morning, arrived on 18th morning itself! The omnipresent Baba had moved things in Turkey where my husband was there for a meeting and arranged everything in such a way that he made him leave one day earlier so that I can go to Bangalore and have darshan! When I landed in Bangalore, my two elder sisters Sudha and Ranjani who are also MP devotees, also met me. My sister Sudha also Baba called miraculously from Chennai and just the previous night, to her astonishment she also could book the ticket and arrive at Bangalore! 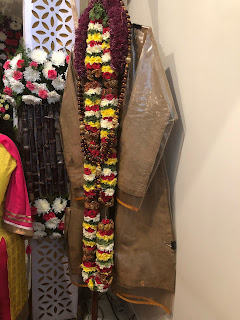 The other sister who lives in Bangalore was not too keen to go for darshan earlier but when she learnt that I was coming there she also got ready to go. We reached Laveenaji’s house and had amazing and hearty darshan and so many times stood in queue happily and touched and placed our heads on Baba’s Padhukas and also touched and hugged Baba’s Kafni and had the wonderful fortune to even meet and take blessings from the great grandson of Baba’s closest devotee Mhalsapatiji in whose lap Baba lay lifeless for three days when Baba took Samadhi for the first time and returned after 3 days! How do I explain this wonderful miracle of Baba? I have no words at all to clearly express everything I felt. It was the best day of my entire life that much only I can say! How Baba arranged everything is so so unimaginable and magical! Laveenaji and her whole family gave so much love and so many hugs that they; I feel that they have become my own family now. In the evening Baba even arranged for me and my sister to reach airport in time to catch our respective flights which we almost missed and gave us a comfortable journey back to Chennai and New Delhi. I also gave all the prayer request emails in the hand of Mhalsapatiji’s grandson personally in which, apart from devotees prayer printouts, I had written prayers for each and every Sai devotee and their families and their dear and near ones. I also got some silver coins consecrated By Baba’s Padhukas. It was also a memorable experience as I met many Mahaparayan and Sai sisters for the first time there and exchanged lots of hugs and exchanged many pleasant moments with them. Thank You, thank You, thank You, thank You, thank You millions of times. Thanks Baba for giving me Your so much love in this way on this Mahasamadhi Centenary day which I’ll always cherish in my heart. This experience I’m sure I will remember in every birth of mine also till I reach Moksha. Jai Sai Ram. Sharing Baba’s Padhuka and Kafni pictures below for everyone to take blessings from. Baba’s ways are beyond our intellect. He has His unique ways to bless His each devotee. What a beautiful way to celebrate Baba’s Centenary Mahasamadhi Day! Without Sai Maa’s love and Will it would not have been possible! How blessed are you! Baba loves you so much that He chose your experience to get published on the Valentine's day! Many leelas behind this too! Happy Valentine's Day! Deva, Love You So Much ! Jai Jai Ho Sai. Sai Baba blessings always with us. My self and my family �� needs ur blessings Baba .